Neighbourhood Weekender took over Victoria Park in Warrington for two days, packed with talent across the musical spectrum and some of Manchester’s favourite bands. Opening the festival was Manchester’s very own Spring King who unlatched the main stage in style. 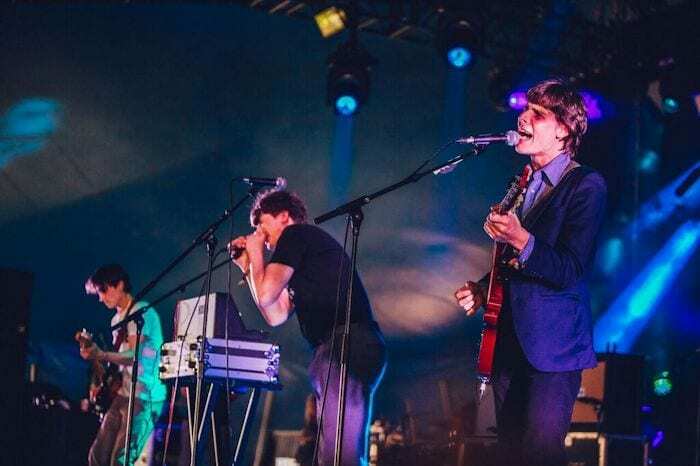 They brought an elixir of bouncy indie pop and hard hitting punk tunes to the masses with City and Detroit proving that the crowds had certainly had a coffee or two in the morning. Spring King confirmed that Manchester isn’t just bucket hat-wearing musicians, as they jammed on stage without the need to light a cigarette or swig a can of cheap beer. They had an assorted set, mixing tunes from across their four years as a band, with Mumma the real crowd pleaser. Whilst Spring King warmed up the crowd, Tom Walker got them relaxed during his mid-afternoon set under the tent on the second stage with some mellow indie folk tunes. His gritty vocals were a real treat. Fly Away With Me, Just You and I and Leave a Light On, (to which the audience held their phones and lighters in the air) confirmed this soulful musician is a talent Manchester should be proud of. 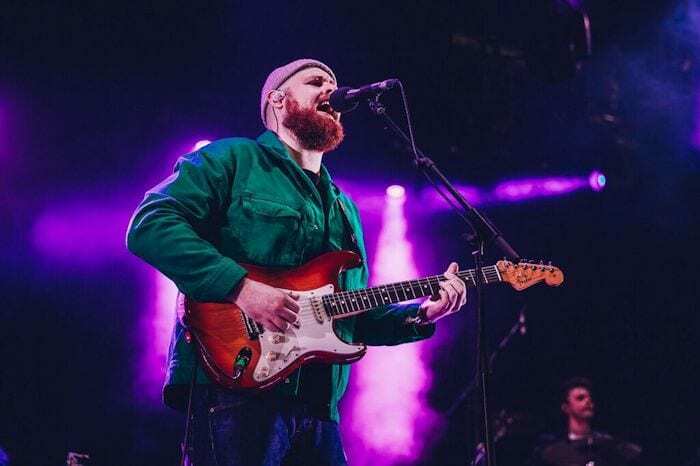 Tom Walker showed that festival musicians don’t have to jump around the stage getting sweaty to make an impact. Mossley locals CABBAGE, on the other hand, who are known for their boisterous gigs, created a protest like no other on the now roasting second stage. Uber Capitalist Death Trade and Arms of Pleonexia caused a riot with fans throwing themselves around the tent. Terrorist Synthesizer and Fickle from the early days gave the people what they wanted – grisly sounds about the state of the nation that allowed you to jump about without a care in the world. If live bands aren’t your cup of tea, Neighbourhood Weekender offered plenty of fun things to do including a set from our favourite DJ, Mr Clint Boon. He took over the second stage after all the madness had died down, providing a safe haven for people who had overdone it earlier. Madchester came alive, with the Boon Army out ready to celebrate. 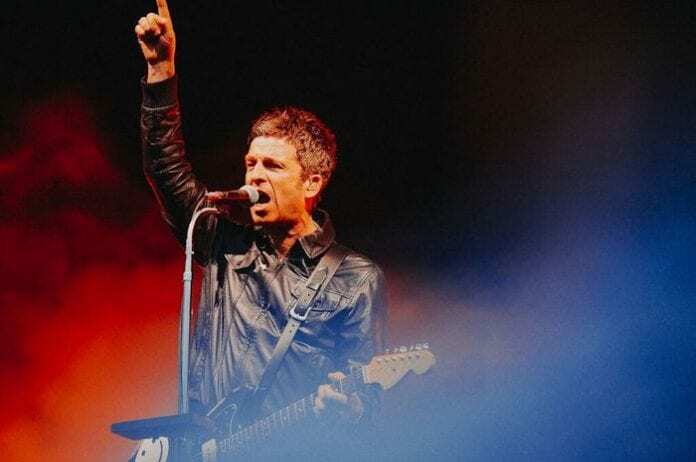 Classic tracks from The Smiths, Oasis and Happy Mondays gave the kids at the festival a taste of some of the best music to come out of Manchester. If you didn’t notice the number of bucket hats, trainers, parkas or Can You Play Guitar? t-shirts, were you actually at Neighbourhood Weekender? 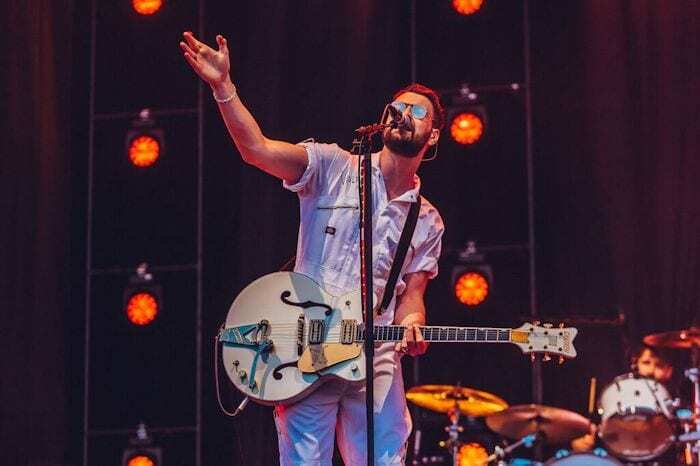 The Courteeners were in town and they were ready and honoured to headline the first day of the festival. “Say hello to Neighbourhood Weekender’s first headliner” announced Liam Fray before kicking into the quality Are You In Love With A Notion? and Cavorting. Although their set was predictable, it’s what people wanted and that’s why they’re so respected by the masses of fans who turned up to see them. Flares lit, pints thrown and voices screaming, The Courteeners brought classic after classic to Victoria Park. The band took a rest from the storm of energy they created to allow Liam Fray to give a tranquil acoustic session consisting of Please Don’t and a tune picked by the crowd, Smiths Disco, allowing everyone to take a breather. Tracks from across their 10 years of creating bangers brought the opening night of Neighbourhood Weekender to an end, with Not Nineteen Forever and What Took You So Long? inspiring everyone to jump about and dance like there was no tomorrow. 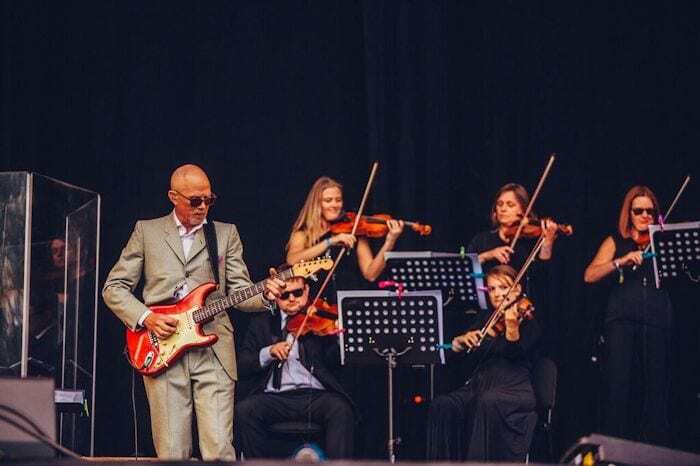 As the sun came out for the second day of the festival, Manchester Camerata opened the main stage, reimagining northern soul with dad dancing all around! 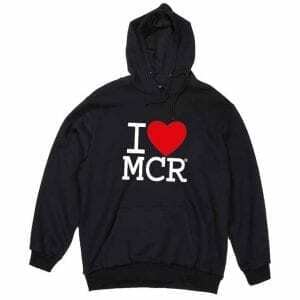 Unlike the previous day, Manchester’s top musicians were saved until later in the evening with The Blinders headlining the smaller Viola Beach stage, dedicated to the late Warrington band. The Blinders brought some ghoulish sounds to the stage, attracting a mass of people ready to jump and push about to their anarchic sounds. Swine and Brave New World proved that The Blinders’ sound, aggressive and contemporary, is what the people want as they screamed along to the words. 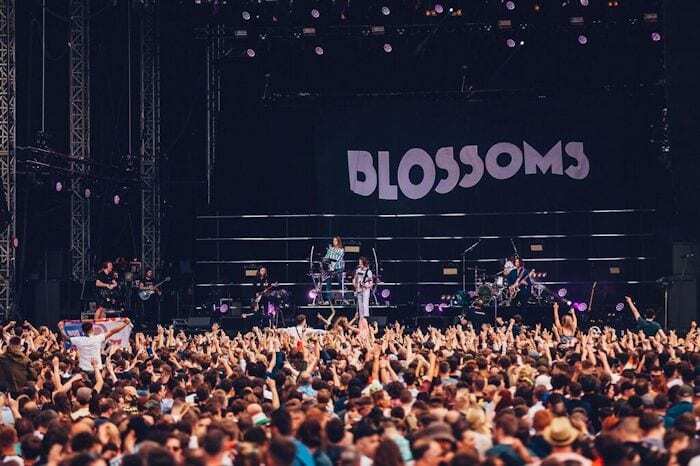 Before their set, Blossoms took over the official Neighbourhood Weekender app made in collaboration with Second Screen. The band went round the festival, taking photos with a few lucky fans. They warmed up the stage for the headliner, although they could have easily headlined the main stage themselves with the number of synth indie tunes they have under their belt. Front man Tom Ogden proudly affirmed “We’re Blossoms from Stockport,” as though an introduction was needed. The number of people screaming and chanting as they came on stage suggested a Beatlemania-style frenzy. They opened their set with tracks from their latest album, with the crowd grooving along to Cool Like You and I Can’t Stand It,whilst songs from their early days, My Favourite Room followed by a cover of Last Christmas by Wham! and Blow, confirmed that Blossoms have certainly put Stockport on the musical map. Tom Ogden thanked every band member throughout the set before ending with Charlemagne, which was dedicated to Viola Beach and their manager Craig Terry, a fitting tribute in their hometown, with fans celebrating the life of the band through a band who loved them dearly. Mr Manchester Noel Gallagher showed up to headline the final night of the festival with his High Flying Birds, gathering the crowd for a singalong to their greatest hits, with a few Oasis tracks thrown in too. “Anybody from Manchester?” asked Noel, which was met by a roar from the crowd. Little by Little and The Importance of Being Idle was a hit with the fans in vintage Oasis t-shirts, whilst latest tracks She Taught Me How To Fly and It’s A Beautiful World lured fans old and new to appreciate the new sound of the Britpop legend. The classic Wonderwall was performed with the crowd singing louder than Mr Gallagher himself. He dedicated Don’t Look Back In Anger, the anthem of Manchester, music and love, to Jürgen Klopp, which was met with a roar of laughter. The band closed the festival with a cover of All You Need Is Love as everybody held their pints in the air, joyfully singing along. Did somebody mention Neighbourhood Weekender 2019?